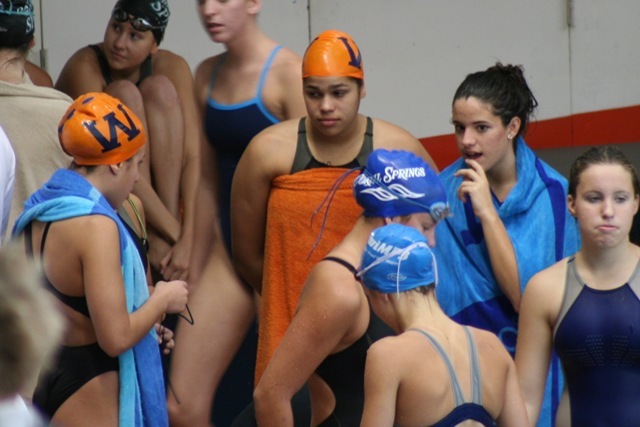 So how do we prepare mentally for these big meets….How do we increase our intensity at workouts…How do we focus on on technique….all of these problems can be overcome by “self talk”. Self Talk can help you when when your tired, it can help you when you feel that you just can’t get that turn right, it can help you encourage yourself and team mates to try just a little bit harder…Why not give it a try, think about things in a positive manner, feel good about what you do! then share it with others it can be contagious. Before you know it others in your lane will be using Self Talk too! One of the things to ask yourself in these self talk trips is: “Why practice wrong” – “Practice Right”…Say to yourself, ” I am going to hit every turn during this workout perfectly”…Then go do it!